Vintage nightstands are not easy pieces to locate for me. Vintage vanities, however, are never in short supply! 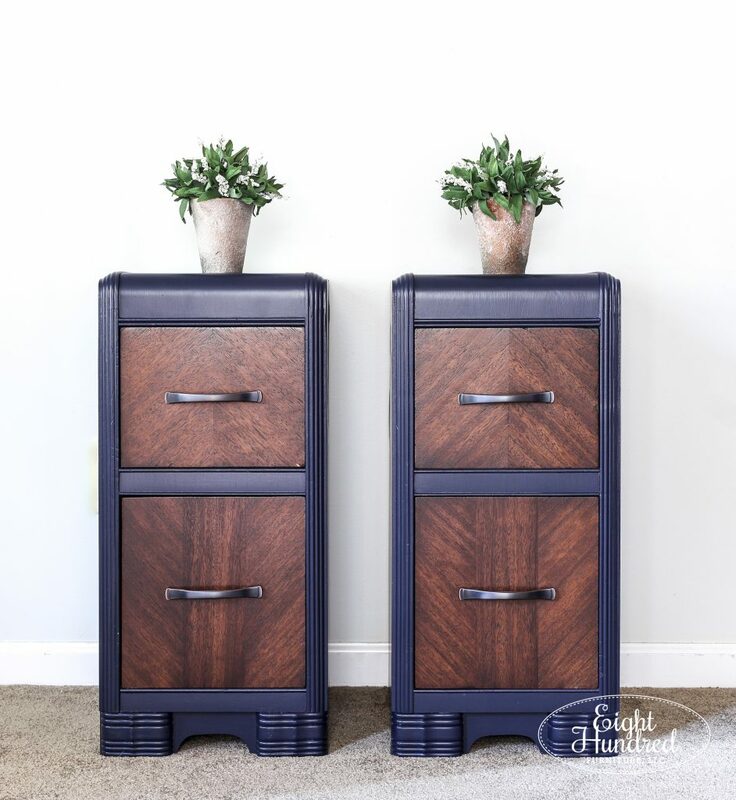 So when I find myself in need of a pair ofnightstands, I often go searching for a vanity to split apart to make my own set of custom nightstands! 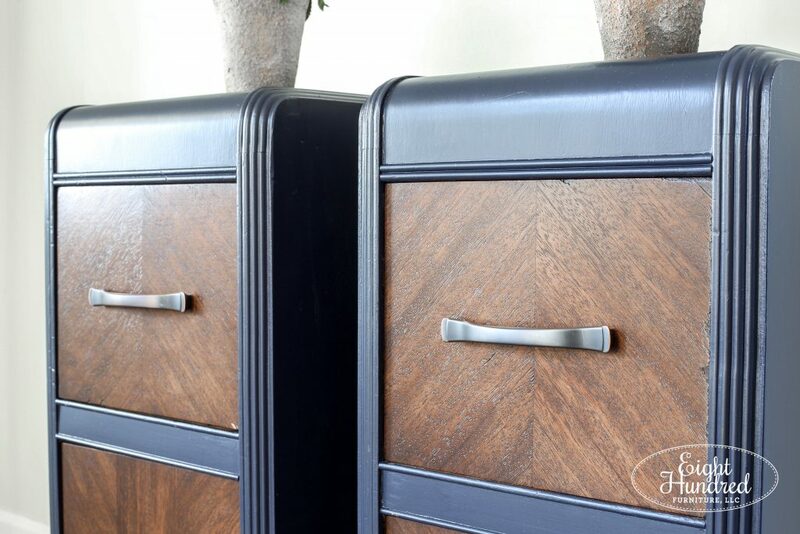 Such was the case with these two lovely vintage waterfall nightstands. They came from a vintage vanity that was offered to me by a sweet woman who took a workshop with me at Morgantown Market. She was at an auction and no one was bidding on a poor neglected vintage vanity. If no one bought it, the auction house was going to discarded the piece entirely, so she rescued it for $1.00. Once I picked the vanity up from her beautiful home, I split it apart and saved the two sides. They required a good deal of patching up with wood putty and some serious sanding. 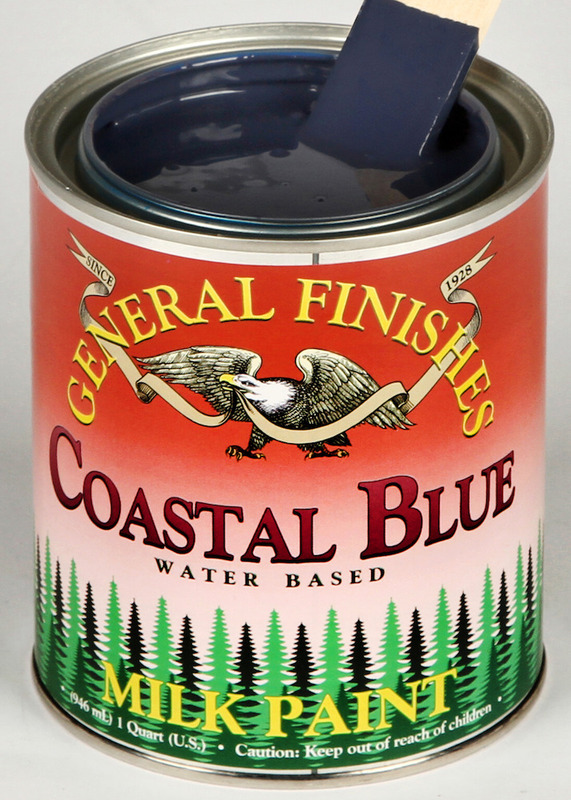 Once the prep work was completed, I gave them two coats of Coastal Blue Milk Paint by General Finishes. This dreamy navy looks so good up against their rich and dark Java Gel Stain. 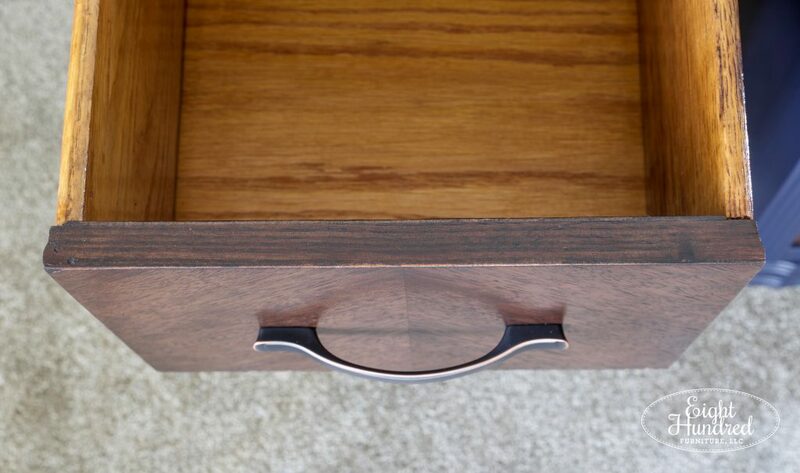 I sealed the drawers with 2 coats of High Performance Satin and then the body with 2 coats of High Performance Flat. This dynamic duo of color and stain looks incredible on these two pieces. Considering the fact they were a 60’s shade of orange wood stain when I got them, they’re looking quite fabulous now. While the waterfall style still has vintage aspects, like the bottom feet, the new milk paint and gel stain make it feel a bit more modern. 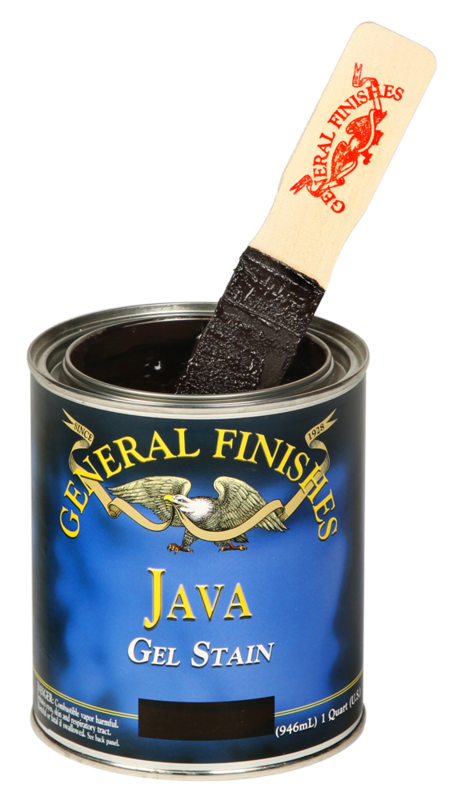 I carried the Java Gel Stain around the top lip of the drawer and on the sides, but I stopped by the dovetail joints. 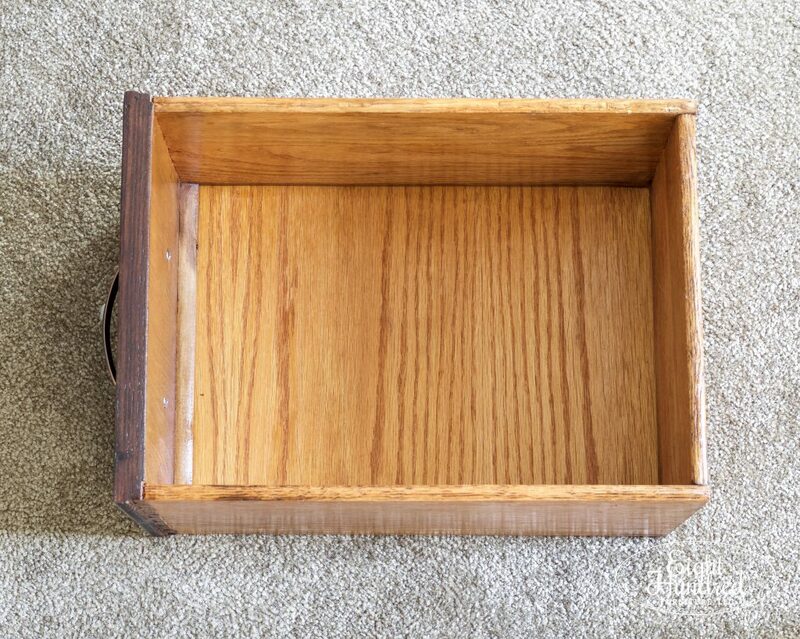 One of the drawers was the home of a mouse in the past, and he (or she) had a field day in there. I tried to clean the drawer out the best I could, but I had to get the help of a local carpenter to replace the bottom drawer. It was too damaged and I could not get the mouse smell out of the drawer. So, a new board was placed in the bottom and the nightstand smells great! 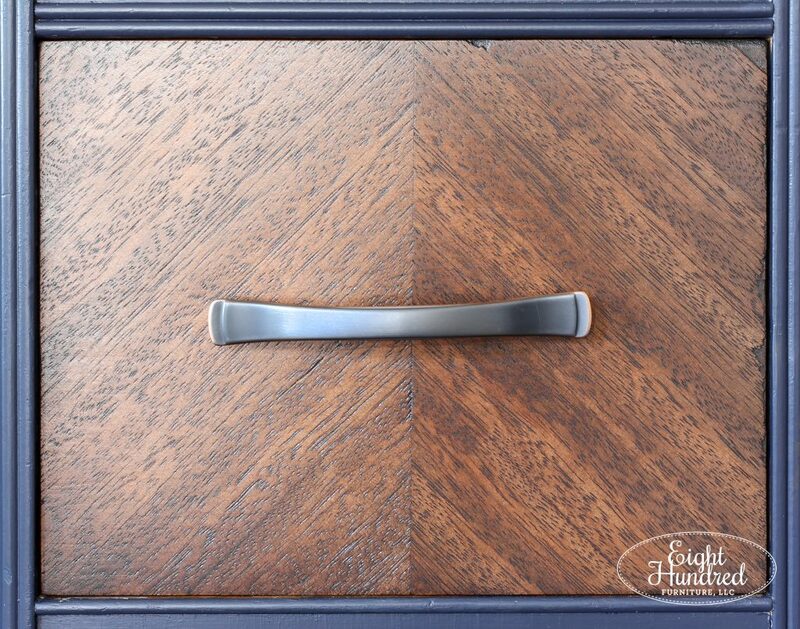 To compliment the new color scheme, these oil rubbed bronze pulls were installed. 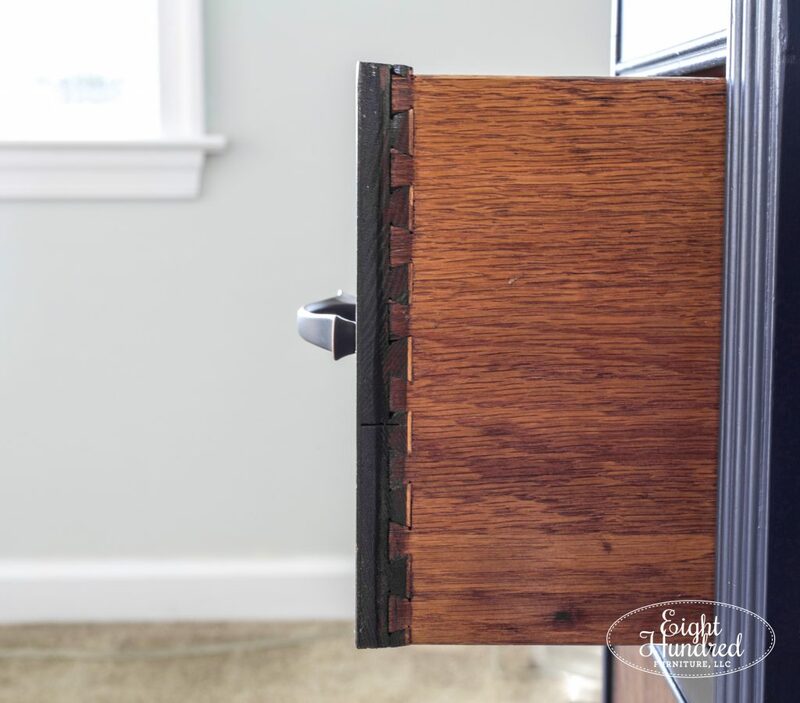 They replaced a set of mid-century modern pulls that simply wouldn’t have worked with the new makeover. Have no fear though, I didn’t throw them away! I actually sent them to my friend Annie in California. 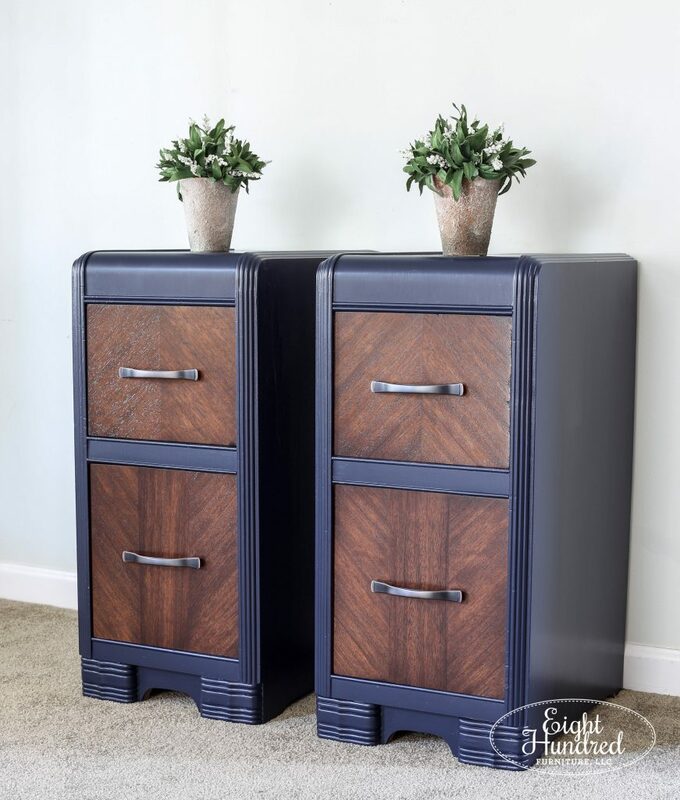 These nightstands were completed for the same friend who bought this navy dresser from me. All 3 pieces are going in her master bedroom, so I can’t wait to see everything all set up in her space! 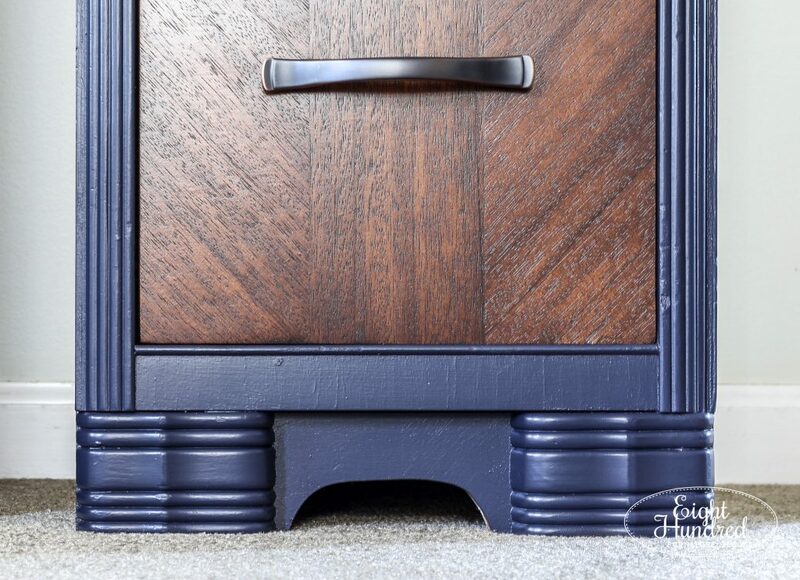 The next time you’re in the market for a set of nightstands, try looking for a vanity instead. 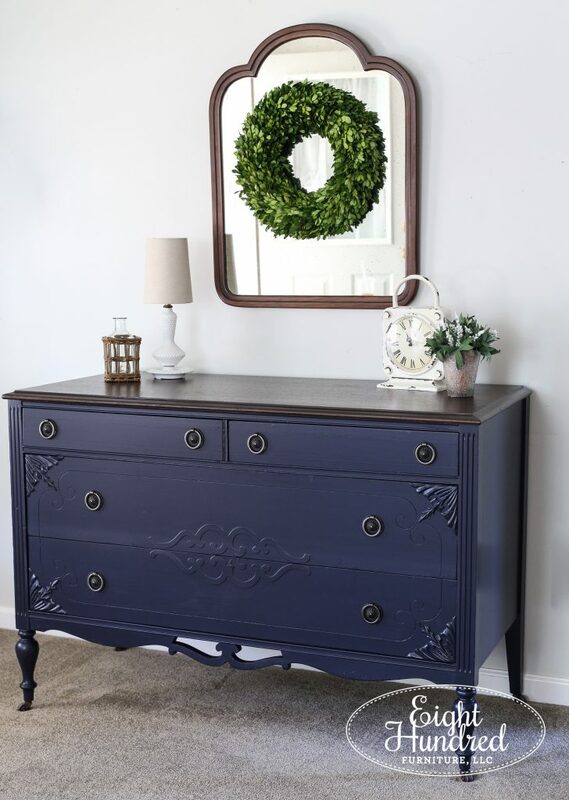 If you’d like to recreate this look, you can shop for General Finishes Milk paint, Gel Stain, and High Performance Topcoat at my retail spaces at Morgantown Marketand Homestead Studios!